2017 has been a blast. We, from Fredaikis, look back at a very productive year where we are very proud of everything we've achieved in 2017. We want to thank all of our community for supporting us through some very difficult situations. With the help and support of our community in 2017, we have been able to always make the right decisions. Therefore we'd like to thank all of you! In 2018 we aim to involve our community even more than we did in 2017. There's still a lot of room for improvement and along with you, we think that we can improve in many aspects! Please keep sharing your ideas and suggestions with us! 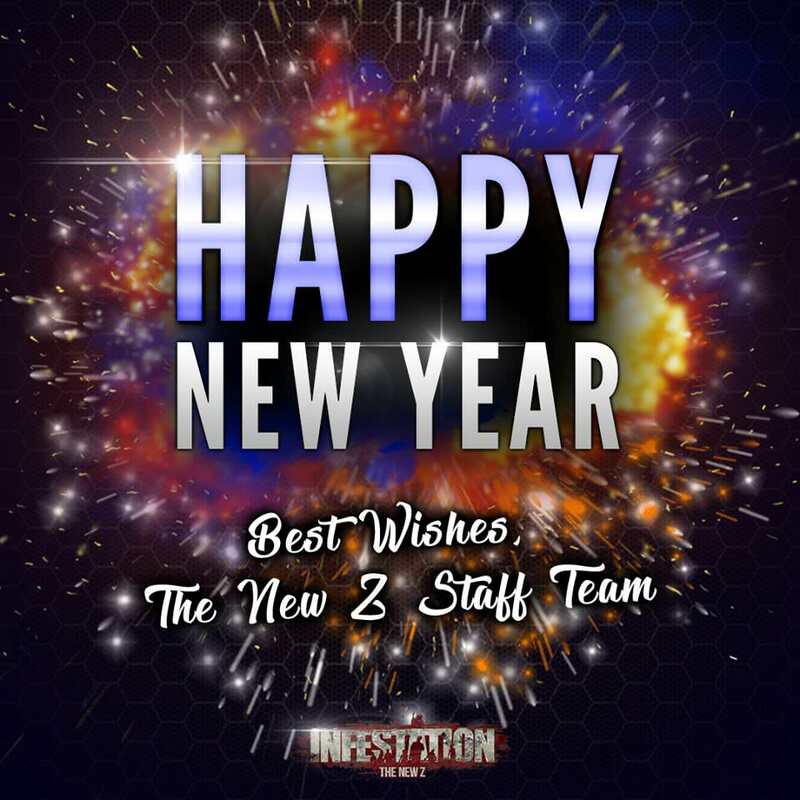 We would also like to give a big thank you to all of our New Z staff for helping us and the community throughout the entire year, day in day out. Without you guys, we wouldn't be where we are now. Happy New Year !! The STAFF made big upgrades in-game this year and gratz for that. 2018 be a good year for all !!! We aim for MORE. Have a nice evening everyone! I would like to take this opportunity to say a great big THANK YOU to all the staff at Fredaikis for making this one terrific game. Your hard work and diligence has certainly paid off. I'm looking forward to many more surprises in the coming new year. As 2017 comes to a close and the new year awaits, please... HAVE A SAFE AND VERY HAPPY 2018!!! Just closed the Christmas event week. Thank you, too! Best Regards!